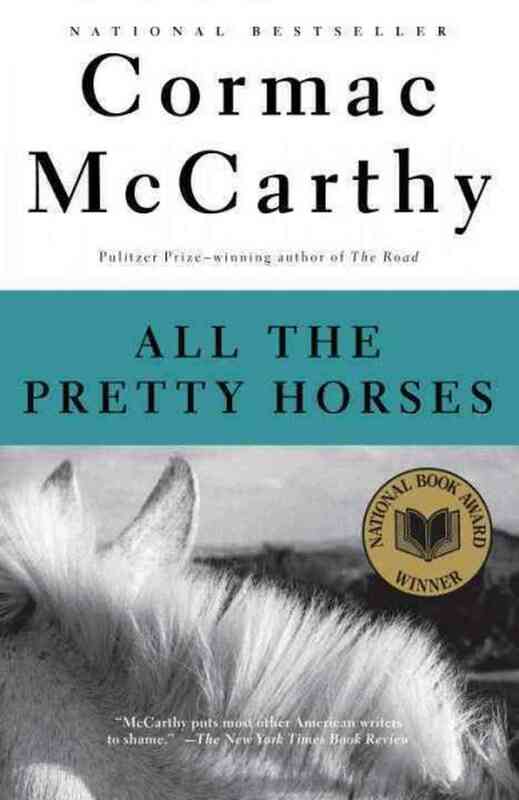 The passage comes from his novel All The Pretty Horses. It’s split into two paragraphs. The second paragraph is the real beauty, but I’ve put them both down below, as the first paragraph provides some context. He’d ride sometimes clear to the upper end of the laguna before the horse would even stop trembling and he spoke constantly to it in Spanish in phrases almost biblical repeating again and again the strictures of a yet untabled law. Soy comandante de las yeguas, he would say, yo y yo sólo. Sin la caridad de estas manos no tengas nada. Ni comida ni agua ni hijos. Soy yo que traigo las yeguas de las montañas, las yeguas jóvenes, las yeguas salvajes y ardientes. Try reading the second section out loud. Notice how it’s all contained in one single sublime sentence. As you read it you feel every pump of the horses legs, the undulating up-and-down motion as the creature bolts along, the physical, gasping exhaustion of the gallop. The sentence is lyrical prose poetry, dripping in visceral imagery, rhythmically perfect. It’s like a sweet, delicious gulp of wine you can come back to and find just as rich every time. It would be almost unbelievable a writer could pack so much into a single sentence if I hadn’t just read it with my own eyes. The imagery is a clear, stark picture staring off the screen, all the time infused with spiritual, life, worldly elements, the sounds and feelings making you instantly at one with the horse and rider. You are right, it has all the elements of a fine wine. Each taste revealing new facets to savour. Thank you for sharing this for us to experience. This is where some of the beauty in life is really to be found. Pretty much every phrasing would be a terrific name for a heavy metal band.